UAV Navigation’s POLAR AHRS unit. 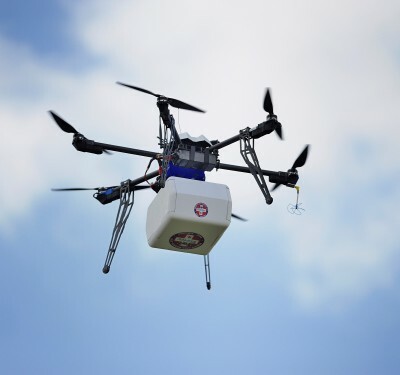 As advanced technologies within the unmanned aerial vehicle (UAV) industry improve and become increasingly available to platform manufacturers, the autonomy and range of UAV platforms is also expanding, meaning that Beyond Line Of Sight (BLOS) operations are becoming more common. 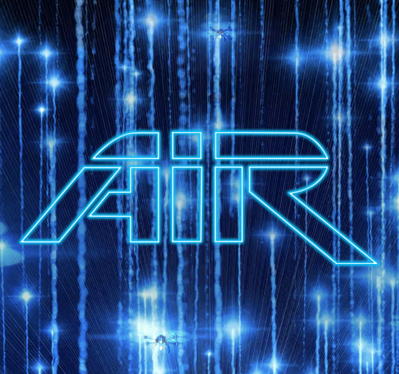 This in turn puts pressure on traditional RF datalinks which face particular challenges in a BLOS situation and quickly run into physical limitations caused by a variety of factors, including the atmosphere and curvature of the Earth. Government programs such as PREDATOR (USA) and HERON (Israel) have used Satellite Communications (SATCOM) technology to overcome such range restrictions. However, SATCOM traditionally has been known to be expensive, bulky, heavy, and with limited bandwidth. The latest systems on the market are now making SATCOM technology available to a much wider audience, with compact and cost-effective SATCOM systems weighing as little as 1.45 kilograms now available for integration into UAV platforms. 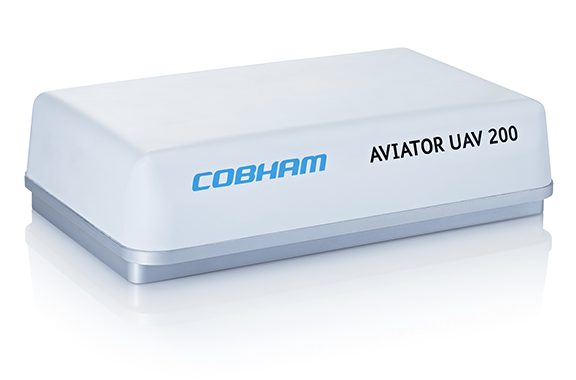 With this in mind, UAV Navigation has announced its collaboration with Cobham to develop a small, light and cost-effective SATCOM solution available to the UAV community. UAV Navigation’s POLAR AHRS unit is integrated with Cobham’s AVIATOR UAV 200 and designed to provide a reliable and cost-effective SATCOM unit. POLAR is a high-end, MEMS-based, Air Data Attitude and Heading Reference System (ADAHRS) and Inertial Navigation System (INS). It has been designed for system integration in avionics and other attitude sensing applications. Its reduced size, weight and interface options mean that it can be readily embedded into a system integrator’s product. 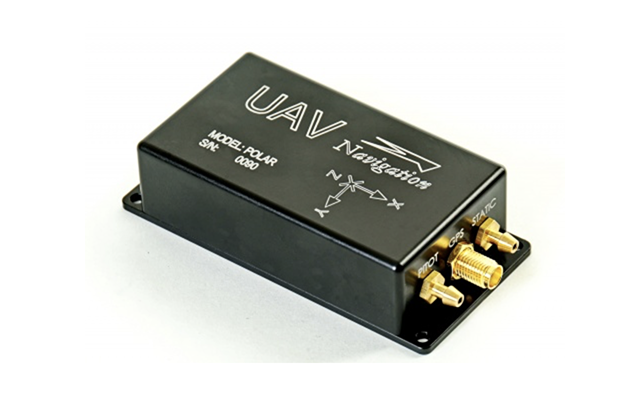 In addition to being used either as a standalone unit or as an OEM component within a system, the POLAR is also used as the ADAHRS unit within UAV Navigation’s range of autopilots, providing precise attitude estimation, dead reckoning navigationand exceptional performance in highly dynamic conditions, according to the company. POLAR has been used in a wide variety of dynamic environments with optimal results — particularly in terms of inertial navigation, where it has held its own against Fibre-Optic Gyroscope Systems (FOGS) units, according to UAV Navigation. Although primarily designed for aeronautical applications, the POLAR has also proven to be a strong solution for other attitude sensing applications, such as terrestrial and marine platforms (e.g. antenna, weapon or camera array stabilization). AVIATOR UAV 200 from Cobham is said to redefine UAV SATCOM connectivity by integrating everything into one compact, lightweight box. Weighing just 1.45 kilograms it is 76% lighter than anything comparable on the market, yet it still delivers Inmarsat Class 4 services, up to 200 kbps data and full control of data channels, according to Cobham. With AVIATOR UAV 200, operators can now send flight commands to a UAV in near real time on BLOS missions. By making immediate route adjustments as and when necessary, mission flexibility is enhanced and platform security also benefits. 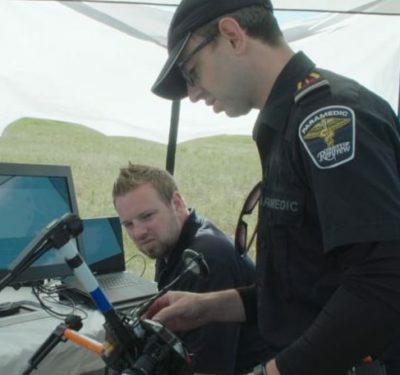 AVIATOR UAV 200 connects back to base via Inmarsat’s SwiftBroadband service, providing a reliable command and control communication link for BLOS operations, as well as a real time feed from on-board payload sensors, via a single channel “always on” data service. 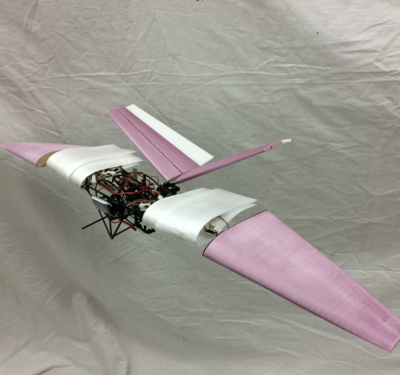 When paired with the AVIATOR UAV 200, the POLAR is said to provide translational and rotational dynamics parameters to enable precise satellite tracking and pointing. Alternatively, the platform can be equipped with a full UAV Navigation Flight Control System, based on the VECTOR autopilot. Information from the POLAR inside the VECTOR can be used by the AVIATOR UAV 200 in the same way to enhance satellite tracking and pointing.